Check out the full post and photos here! I actually gasped when I saw this. It’s precisely enough cats! It looks funny. 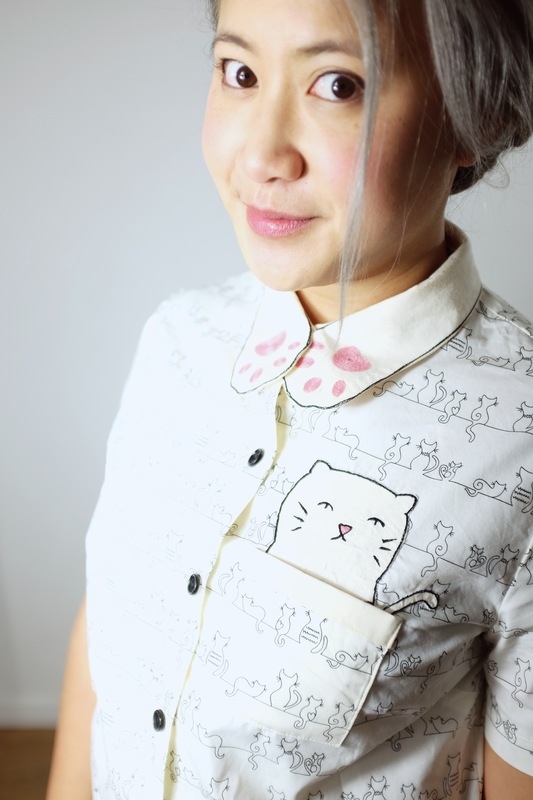 The cat feet on the collar is just so cute and the cat coming out of the pocket: WOW. It looks great. This is amazing. Gangster kitty! Love everything about it, you’re so creative!